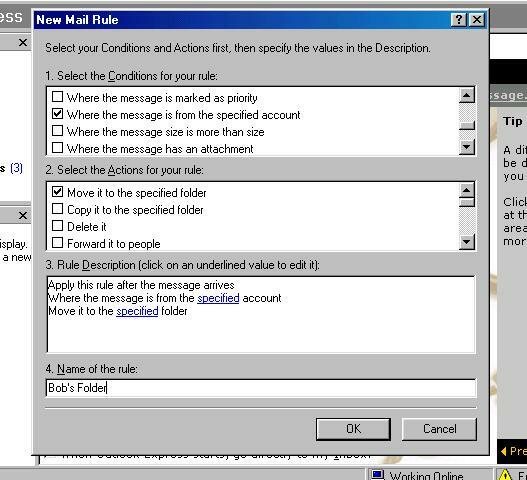 This method will place email messages addressed to each email address into its own folder in Outlook Express. Although this will provide a convienient method of separating your various email accounts, this will NOT prevent other users of your PC in your household from viewing your email.. 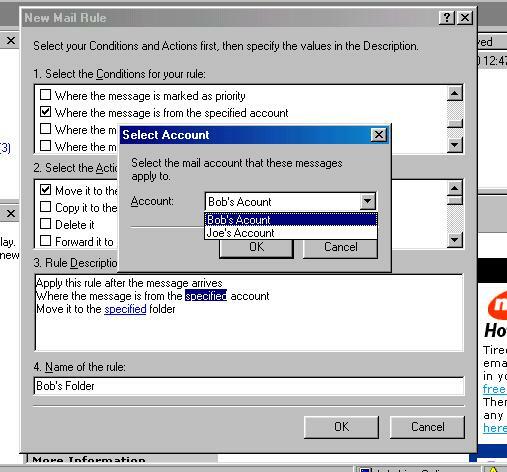 Check the box that has: "Where the message is from the specified account." Check the box that has: "Move it to the specified folder." Set the name of the rule. You can call this whatever you want. Click the first blue text, "Specified." This is the one before the word, "account." Select the account that you would like in the separate folder, and then click OK.
Click on the second blue text, "Specified." This is the one before the word, "folder." Enter what you want the folder to be called. In the example since its Bob's account, we call it "Bob's Mail." 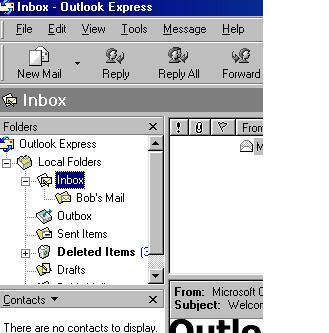 Keep clicking on OK until you are back to the beggining of the Outlook screen. Make sure the folder you specified appears on the left. In the example the folder is called "Bob's Mail." 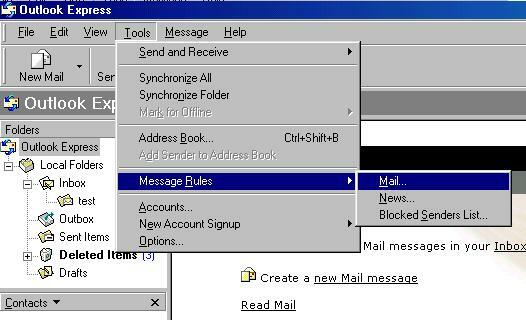 From now on, all mail sent to Bob's account will go to the "Bob's Mail" folder. 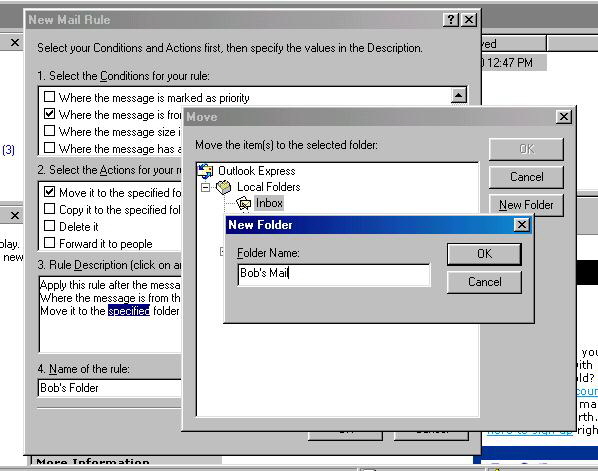 To Read Mail for this user, click once on the "Bob's Mail" folder and the list of messages recieved for this account will be display to the right. Please contact us at support@chesapeake.net if you require further information or assistance with your Chesapeake.Net e-mail service, or call our Technical Support staff at 1-877-259-8436. All content and images copyright Southern Maryland Internet, Inc.